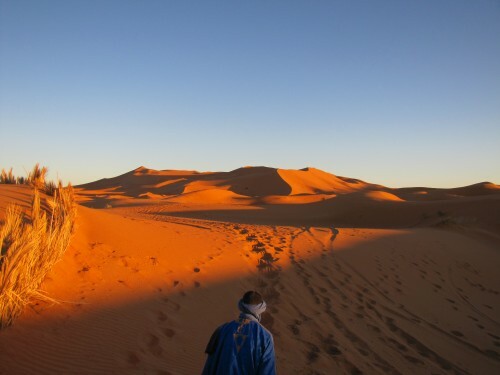 On Christmas Day last year I wrote here about our Christmas in the the Sahara desert a few years ago. We were on a guided tour of Morocco – you can read about our adventures in recent posts (go to the Archives or use the cloud on the side bar). Our tour dates happened to bring us into the Sahara on Christmas Eve. 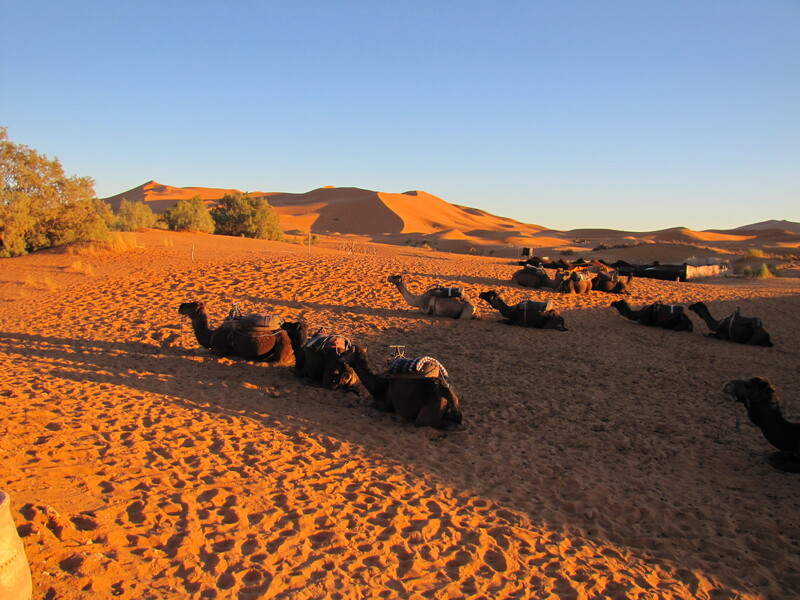 Once we had left our bus – including our luggage – we saw a group of camels waiting patiently to take us into the desert. I had seen the amazing colours of the Sahara in photos, but until you experience it with your own eyes at sunset, you don’t fully appreciate the depth of the colours. 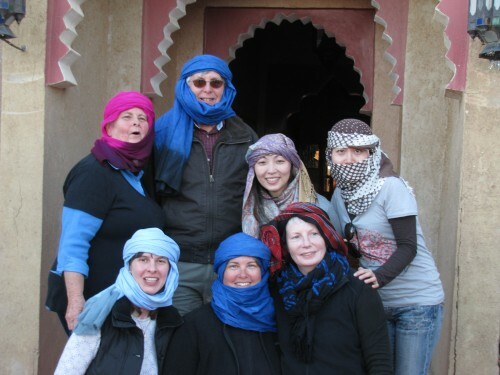 Some of the tour group dressed up for the occasion, including my wife and daughter (see photo below). As we set off into the desert I realised how difficult it is to take photos while travelling on a camel. 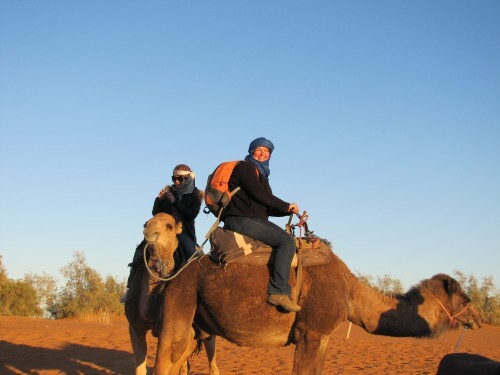 I think this was my first ever ride on a camel. The camel constantly lurches forward and then back. It is an animal which does not make a very good platform for photography. I am pleased I managed to get a few reasonable shots during the hour long journey. In the coming days I will show more photos of this part of our journey, including our camp site in the desert.